The GrowFest flyers are ready! Farmer Margie worked hard on designing them, and I picked them up at the printer Thursday afternoon. 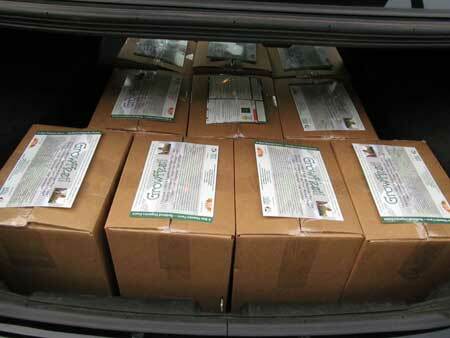 Ten boxes holding 10,000 copies — yes, TEN THOUSAND copies — crammed into the trunk of my car. Spent Friday afternoon dropping off boxes of flyers at Whole Foods at South Beach and at Aventura. The store is one of the event sponsors. 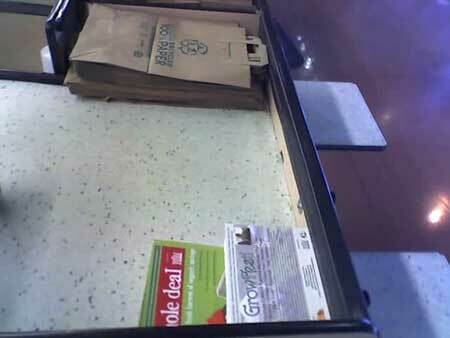 Farm assistant Victor Hernandez ran around all day dropping off more boxes at eight other Whole Foods stores. Grab a flyer and drop it in your bag. Then come out and see us! When you go shopping this weekend, look for the flyers right by the bags as you check out … and take one! If you don’t see them, ask! Great efforts to get them out. Congrats!